Microsoft officially launched Windows Phone in China back in March and only two months later, the company has captured 7 percent of the market share in the region. This is a significant number as the iPhone only has a 6 percent share despite being on the market for a longer period of time, according to Microsoft’s COO in the Greater China Region Michael van der Bel as reported by online Dutch magazine Emerce. 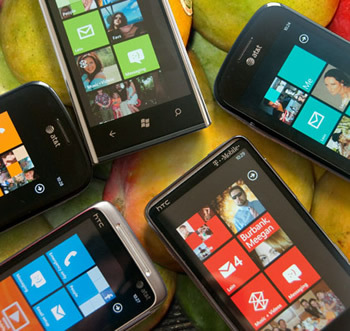 Microsoft can likely credit the early success in the emerging market to manufacturers Nokia and HTC. Nokia has had a strong track record in China although Computer World notes that it has slipped in recent time. In the first quarter of 2011, the manufacturer accounted for more than 40 percent of the market share. By the end of the year, that percentage had dropped to less than a quarter of the overall market. The news is a glimmer of hope for Windows Phone as global sales have been dismal at best. A new report shows that Microsoft’s wireless operating system market share fell 27 percent in the first quarter to just 1.9 percent overall. Microsoft’s mobile OS was generally well-received by critics but regardless, the alternative operating system just can’t gain traction. Information Week notes that some people feel that consumers have been conditioned through Android and iOS and can’t accept how “different” the Live Tiles on Windows Phone are. It’s worth mentioning that Nokia Lumia 900 sales figures weren’t calculated into these results. Interestingly enough, however, Gartner predicts that by 2015, Windows Phone will become the second-largest mobile OS behind Android.